A film by Murasaki Produtions, LLC. The first major presentation of the existence of traditional music, dance, and drama in the camps, and the remarkable roles played by the teachers of classical Japanese art forms. 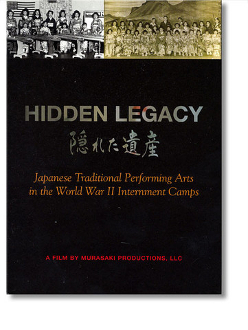 Through historical footage and interviews with artists who were incarcerated comes the story of how traditional Japanese cultural arts were maintained at a time when the War Relocation Authority emphasized the importance of assimilation and Americanization. It includes stories of 19 artists in the fields of music (koto, nagauta shamisen, shakuhachi, shigin, biwa), dance (buyo, obon) and drama (kabuki) who were interned at Tule Lake, Manzanar, Amache/Granada, Rohwer, Gila River, and Topaz.